While many are choosing a gluten-free diet to lose weight, those with celiac disease have no choice. Celiac disease requires an individual to avoid substances that contain gluten, including wheat, barley, and rye. Celiac disease is defined as the disorder where there is an abnormality in the small intestine manifested by contact with gluten. The small intestine consisted of small finger-like projections called villi. In individuals with celiac disease, gluten damages these villi. The intestinal damage leads to poor absorption, which can cause nutrient deficiencies. The symptoms of celiac disease vary widely, which can make diagnosis difficult. Gastrointestinal symptoms include constipation, diarrhea, abdominal distention, abdominal pain, bloating, decreased appetite, gas, indigestion, lactose intolerance, loose or floating stool, unexplained weight loss, and nausea and vomiting. Other symptoms include arthritis (bone/joint pain), breathlessness, chronic fatigue, dental enamel defects, depression, dermatitis herpetiformis, failure to thrive, fibromyalgia, headaches, hypoglycemia, inability to concentrate, infertility, anemia, irritability, liver disease, malnutrition, neurological problems, osteoporosis, and vitamin/mineral deficiency. There are three basic types of celiac disease: classical, nonclassical, and latent. In classical celiac disease, all of the associated symptoms involve the gastrointestinal tract. Nonclassical celiac disease involves symptoms that do not include the gastrointestinal tract. In latent celiac disease, there are no symptoms but damage of the intestine is still present. While the symptoms vary between them, all three will have intestinal damage. Many of the symptoms mimic those of irritable bowel syndrome, which can lead to misdiagnosis. Many doctors only know the symptoms of classical celiac disease and do not recognize the widely diverse symptoms of nonclassical celiac disease. Because of this, there is an average of 11 years between symptom onset and diagnosis. Celiac disease is thought to affect 1 in 100 people, but only 1 in 800 are ever diagnosed. There are efforts to increase the awareness of celiac disease among both the general public and medical industry. There are many health issues associated with celiac disease. Many involve mal-absorption of essential nutrients, which lead to deficiencies, all of which come with their own list of symptoms. Cerebral calcifications are involved with ataxia, neuropathy, epilepsy, and headaches. While cerebral calcifications are related to celiac disease, the mechanism hasn’t been identified. Celiac disease is also connected with dementia and schizophrenia. Autism often improves with a gluten-free diet. The connection between the two has been studied but not yet identified. Other health issues related to celiac disease include ataxia, neuropathy, epilepsy, depression, Addison’s disease, type 1 diabetes, thyroiditis, and anemia. The connection between celiac disease and many of the related health issues is not known and currently being studied. However, evidence does show that eating a diet free of gluten will help relieve the symptoms of these related health issues. The genetics of celiac disease are still not solidly known. While there is familial clustering of the disease, there are no discernable Mendelian inheritance patterns in families, meaning there is no predictable way to determine the dominate and recessive gene patterns like we can with eye color. However, evidence shows that the risk of celiac disease in first-degree relatives is 20-30 times greater than in the general population (3). If one identical twin has celiac, then there is a 75% chance that the other twin has it as well. In comparison, this percentage (typically referred to as the concordance rate) is only 33% for Chron’s disease, 36% for type 1 diabetes, and 25% for multiple sclerosis. From these numbers, it is clear that celiac disease is considered highly genetic. One of the genes that has been implicated in causing celiac disease is the human leukocyte antigen (HLA) gene. The HLA complex contains around 200 genes, about half of which are known to have immunological function. Research shows that 95% of celiac patients have HLA DQ2, while the other 5% have the HLA DQ8 gene. However, it is important to remember that only 3% of those with these genes ever develop celiac disease. This makes an environmental element likely and prevents genetic testing to diagnose celiac disease. There are several ways to test for celiac disease. Completing an anti-body test is usually the first step. It is important that the patient being tested is still on a gluten-containing diet. The antibody testing includes tTG IgA, EMA IgA, and total IgA. tTG IgA is the measurement of serum concentration of tissue transglutaminase IgA, which is unusually high in celiac patients. EMA IgA is the measurement of serum concentration of endomysial antibody and has a high specificity for celiac disease. It is also more prone to false negatives. Celiac patients have a higher than average rate of selective IgA deficiency, which is tested for by the total IgA test. While antibody tests are a good first step, they are not as reliable as other methods. The small bowel biopsy is the only conclusive way to diagnose celiac disease. The biopsy is usually performed when the antibody testing is positive for celiac disease or the patient has severe symptoms. The biopsy includes multiple samples taken endoscopically from the intestine. While the biopsy is the gold standard for diagnosis, it can fail to detect it if the patient is on a gluten-free diet or in the early stages of the disease. If the patient is already on a gluten-free diet, there are two options. They can take the gluten challenge, which requires them to eat gluten daily until their symptoms return so that they can have the antibody testing or biopsy performed. The second option is genetic testing for the presence of HLA DQ2 and DQ8. A negative result will rule out celiac disease, since the HLA DQ2 or DQ8 genes are required for the disease. A positive test will not conclusively diagnose celiac disease. Only 3% of those with the genes will develop celiac disease. A positive genetic test, along with the symptom list and relief of symptoms of the gluten-free diet, can lead to a diagnosis of celiac disease. 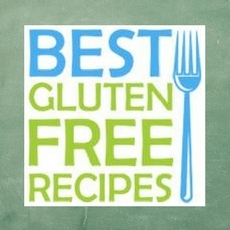 The only treatment for celiac disease is a gluten-free diet. The diet is inconvenient and difficult to maintain. Those on the diet must be properly educated and ever vigilant, watching for hidden gluten and cross contamination issues. The relief of symptoms, and some related conditions such as diabetes, are an important motivator for the diet. Since the gluten-free diet is currently a trendy weight-loss diet, there are more and more options and choices available for those seeking gluten-free products. Those who maintain a strict gluten-free diet have the average life expectancy. However, those who don’t maintain the diet have a greater risk for intestinal lymphomas, other cancers of the digestive tract, and related conditions. The mortality rate at every age is twofold greater in untreated celiac patients. While still studying celiac disease, scientists are also looking for possible cures. Since celiac disease is brought on by the inability to digest gluten, scientists have identified enzymes that could further digest and properly break down gluten in the intestine. However, they are still working on how to get the enzyme into the patient’s intestine. Another option is breeding the toxic sequences out of grain, while leaving the taste and baking properties intact. However, the sequences are scattered throughout a complex genome and progress is slow. Howdle David Peter. 2011. Celiac disease. In: Banerjee Bhaskar, editor. Nutritional Management of Digestive Disorders. New York: CRC Press. p. 91-111. Copelton Denise A, Valle Giuseppina. 2009. You don’t need a prescription to go gluten-free: The scientific self-diagnosis of celiac disease. Social Science & Medicine. New York: Elsevier. p. 625-630. Dewar David, Pereira Stephen P, Ciclitira Paul J. 2003. The pathogenesis of coeliac disease. The international Journal of Biochemistry and Cell Biology. 36 p. 17-24. Helms Steve. 2005. Celiac disease and gluten-associated diseases. A Journal of Clinical Therapeutic 10.3:172-192. Pietzak Maria Michelle, Fasano Alessio. 2005. Celiac disease: A new paradigm of an immune-mediated disorder due to dietary gluten. Reviews in Food and Nutrition Toxicity 3:ch9. Van Heel David A, Hunt Karen, Greco Luigi, Wijmenga Cisca. 2005. Genetics in coelicac disease. Best Practice & Research Clinical Gastroenterology 19.3:323-339. [NCBI] National Center for Biotechnology Information. 2008 July 3. NCBI Celiac Disease. Accessed 2011 April 21.